People who live within the boundaries of the City of Delta Junction are represented by a seven-member city council. A mayor is elected annually from among members of the city council. Alaska does not use the “county” system of local government but, rather, residents of areas which are geographically, culturally and economically compatible may elect to form a borough. Boroughs, generally, are larger than counties and have three mandatory powers: education, land use planning, and assessment and collection of taxes. Residents are elected to serve on borough assemblies. The people of the Delta area, to date, have chosen to not form an organized borough. Instead, Deltana Community Corporation was organized to represent those persons living within the Delta/Greely School District but outside the city limits of Delta Junction. 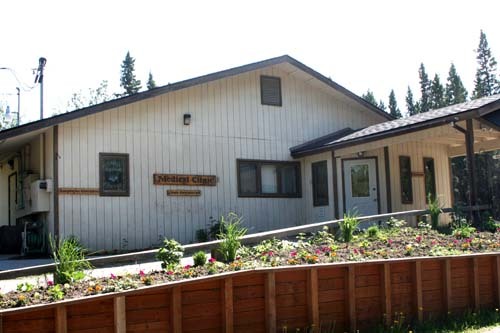 Deltana Community Corporation is an non-profit entity, able to receive revenue sharing funds and grant monies from the State of Alaska for the purpose of providing capital improvements and some basic services to residents outside the city. Representatives on the nine-member Deltana Community Corporation Board of Directors are chosen by the election process and a president is elected from among board members. The community corporation has been responsible for upgrading of certain access roads which are not under the state maintenance system and has constructed two fire stations, one in the Clearwater area and one on the Richardson Highway near Big Delta. The corporation has no powers to direct land usage nor to levy taxes. 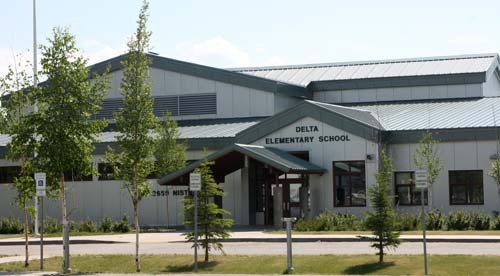 The Delta/Greely School District operates several schools, including an elementary/middle school, high school and correspondence schools. Fort Greely maintains close ties with the community, with a member on the school board and regular attendance at City Council meetings. Call 911 to report a wildfire!